Chanukah or Christmas, Neither or Both? John 10:22, The Feast of Dedication [or consecration]. 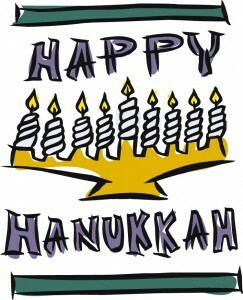 This is a reference to the annual Chanukah (also spelled Hanukkah, and also known as the Festival of Lights) celebration lasting for eight days beginning in the 25th day of Jewish month Chislev (in the middle of our December). This minor Jewish feast was instituted by Judas Maccabaeus (164 BC) in memory of the cleansing of the Jerusalem temple from its desecration by Antiochus Epiphanes, the pagan Greco-Syrian king. While Chanukah isn’t a biblically commanded observance, it is interesting to note that Yeshua happened to be at the temple in Jerusalem at this time as John mentions in his Gospel (John 10:22). Are there any spiritual significances to this? Perhaps. Chanukah falls in the same time frame as the modern Christian festival of Christmas, which has its roots in the pagan Roman festival of Saturnalia, which culminated on December 25. Saturnalia was a pre-Christian festival held from December 17 to 25 in honor of the sun god characterized by drunken revelries, sexual debauchery, hedonistic indulgences of all sort, and human sacrifices. Saturnalia was a festival of lights in an effort to defeat the forces of darkness at the darkest time of the year and to woo the sun as earth’s life-giver back again thus insuring that the earth wouldn’t become an uninhabitable dark and frozen wasteland. Who originally canonized the NT? Definitely not the Roman Catholic Church! John 21:24, We know. What now follows is discussion of the “we” passages in the writings of John. James, the brother of John had been martyred in Jerusalem in the early sixties a.d., Peter in Rome in the mid to late sixties, and now it was left up to John, the remaining apostle, to finalize the New Testament canon. What is the proof of his hand in this task, and did he do it alone or did he have helpers—an editorial staff, if you will? 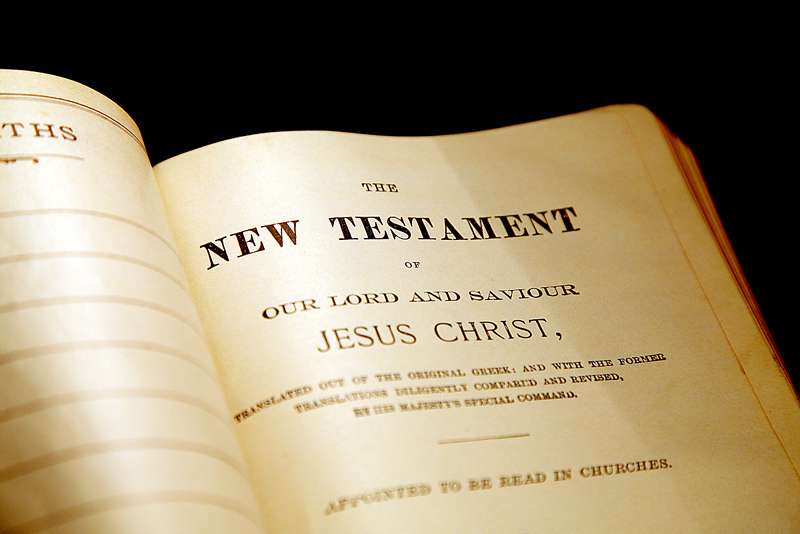 “John did not create the New Testament on his own. He had helpers. If one will read the writings of John carefully, these assistants can be recognized, and they played a very important part in the overall canonization. References to them are found from time to time cropping up within the contexts of John’s compositions. The elders who helped John were very important. … [M]any of them were eyewitnesses to the teachings of [Yeshua] in Judaea and they also saw him alive after his resurrection from the dead. They were a part of those 500 people still alive in a.d. 55 who Paul said were witnesses to [Messiah’s] resurrected body (1 Cor 15:6). This means that they were certainly Jewish Christians” (Martin, p. 398). At this point, Martin directs our attention to the “we” passages in John’s Gospel and epistles. John 21:24, This is the disciple which testifies of these things, and wrote these things: and we know that his testimony is true. “Notice the abrupt change from the third person singular to the plural. The last part of this verse is introducing further witnesses, other than John (who are identified only by the pronoun “we”). Who were these men? In the Gospel they are not identified, but it can reasonably be assumed that the first readers of John’s Gospel must have been aware of their identities. They must have represented an officially recognized body of men since they boldly gave their witness to John’s written word, “And we know that the witness he [John] gives is true” (ibid., pp. 398–399). How do you know if you’re saved? John 6:54, Flesh…blood. This is a Hebrew idiom for “the whole person” (see Matt 16:17; 1 Cor 15:50; Gal 1:6; Eph 6:12; Heb 2:14). This relates to Moses’ instructions that “man shall not live by bread alone…but by every word that proceeds from the mouth of YHVH” (Deut 8:3). This applies to Yeshua who was that Word of Elohim who “became flesh and dwelt among us” (John 1:1 and 14). 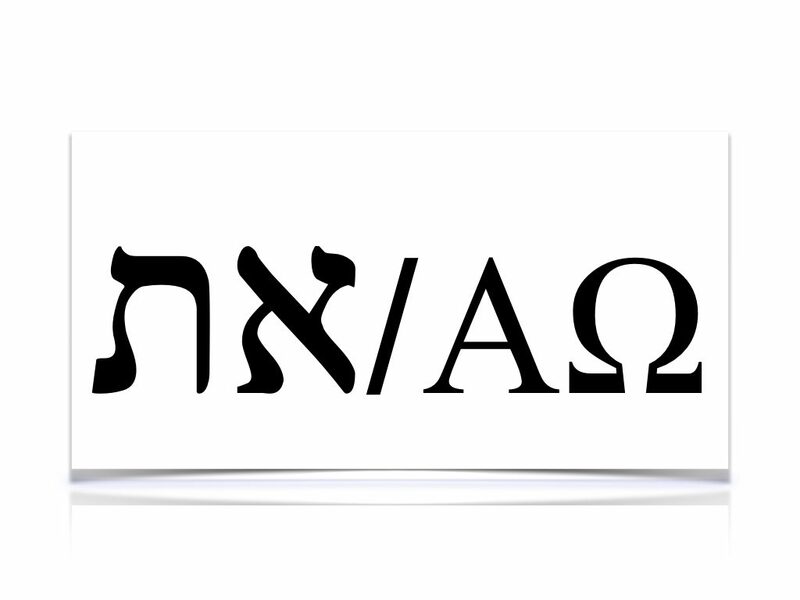 When one puts their faith in Yeshua (John 6:29 and 5:24), then one must also believe him—that is, not only accept him as the Son of Elohim and one’s Savior, but also follow and obey (or “eat”) him who is the Living Manna-Word of Elohim from heaven. This involves believing his words by loving him and keeping his Torah-commands (John 14:15, 23 cp. Exod 20:6), which are his literal words. This is why YHVH instructed the Israelites to eat the whole Passover lamb, and to leave nothing left over (Exod 12:10). This teaches us that we are to “eat” all of Yeshua—his whole Person as represented by the bread and the wine at communion on Passover. We are to accept the totality of his Word, not just the parts that suit us, or fit with our conventional religious viewpoints as per the traditions of men. Many claim to eat all of his flesh and drink all of his blood, yet through their anti-Torah theologies they rip pages out of their Bibles and toss them into the spiritual trash can claiming it is for the Jews and not for them. This is exactly what Adam and Eve did when they listened to the serpent’s lies at the tree of knowledge and rebelled against YHVH’s clear commands. The devil deceived them into take a pick-and-choose approach to the Word of Elohim. This was the first sin that humans committed. The Bible defines sin as violating the words, commands or Torah of Elohim (1 John 3:4). It is also a sin not to believe in Yeshua (John 16:9; 3:18–19) who is the Living Torah-Word of Elohim incarnate. It is also sin to act in unrighteousness (1 John 5:17). The Bible defines unrighteousness as violating YHVH’s Torah commands (Ps 119:172), which are the words of Yeshua. In summary, when we accept all of Yeshua by eating his flesh and drinking his blood, (i.e. partaking of the bread and wine at communion) we are confessing that we accept the totality of who he was and is. If we fail to believe and obey all of his words, then to the degree that we do so we are walking in sin, don’t love him and don’t even know him (1 John 2:3–4). 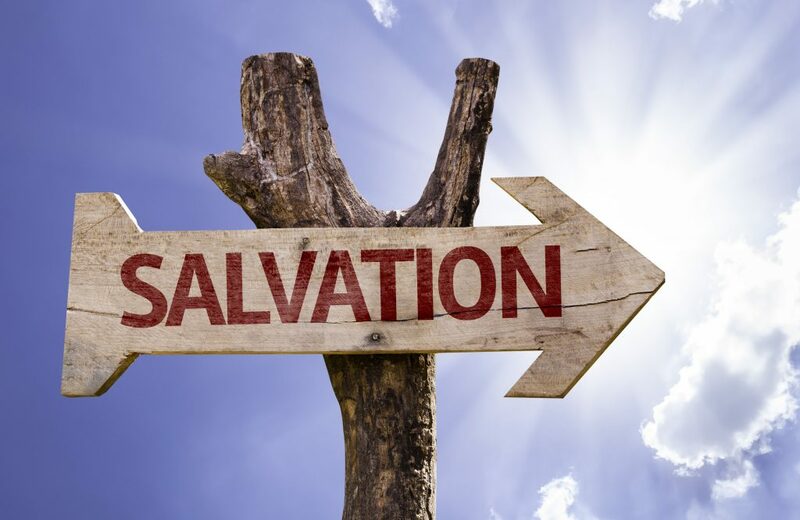 Salvation — What Is It and Do You Have It? Matthew 16:17–19, Bind…loose. Here, Yeshua clearly gave the authority of the Sanhedrin (the ruling body of Jewish leaders in Yeshua’s day) over to his disciples. No longer do we need to look to the authority of the Jewish leaders for determining how to obey YHVH, or for making rulings pertaining to religious service. First of all, there is no Sanhedrin today to tell us these things. Secondly, in Matthew 16:17–19, Yeshua clearly transferred to his apostles—the church leaders of that time—the authority of the Jewish Sanhedrin (and its subsequent rabbinical authority or “Jewish legal tradition”) to make binding ruling and decisions about spiritual matters pertaining to his kahal (congregation or church). This authority would include making determinations about the biblical calendars. No longer, does the kahal (church) of Yeshua have to wait for a Jewish Sanhedrin to form to tell them how to follow the Word of Elohim with regard to the biblical calendar or any other subjects for that matter. Yeshua here permits and empowers the spiritual leaders of the saints to simply teach and do what the Bible says, and heaven will honor or endorse their decisions (called “binding” and “loosing” or “forbidding” and “permitting”)! That’s what Yeshua says in Matthew 16:19, and this is exactly what his apostolic leaders did in Acts 15 at the first apostolic counsel. John 20:23, If you forgive the sins [NKJV] or Whose soever sins ye remit [KJV]. Forgive is the Greek word aphiemi, which has a wide range of meanings including “to send away, to permit, allow, not to hinder, to give up a thing to a person, to leave, go way from one, to let go, let alone, let be, to disregard, to leave, not to discuss now, to omit, neglect.” Of the 146 times this word occurs in the NT, in the KJV aphiemi is translated as “forgive” 47 times (as in forgiving sins; e.g., Matt 6:12, 14; 9:2, 5, 6; 12:31; 18:12; Rom 4:7; Jas 5:12; 1 John 1:9; 2:11, etc.). The KJV also translates this word as “leave” (52 times), “suffer” (meaning “allow, let or permit”, 14 times), “let” (8 times), “forsake” (6 times), “let alone” (6 times). What would be the purpose of remitting someone’s past sins (assuming that one has the authority to do so)? By asking heaven’s court to forgive a person’s sins, this could possible open the doorway to salvation to them by lessoning the burden of sin and the guilt, shame, hopelessness, depression and fear that comes with sin. 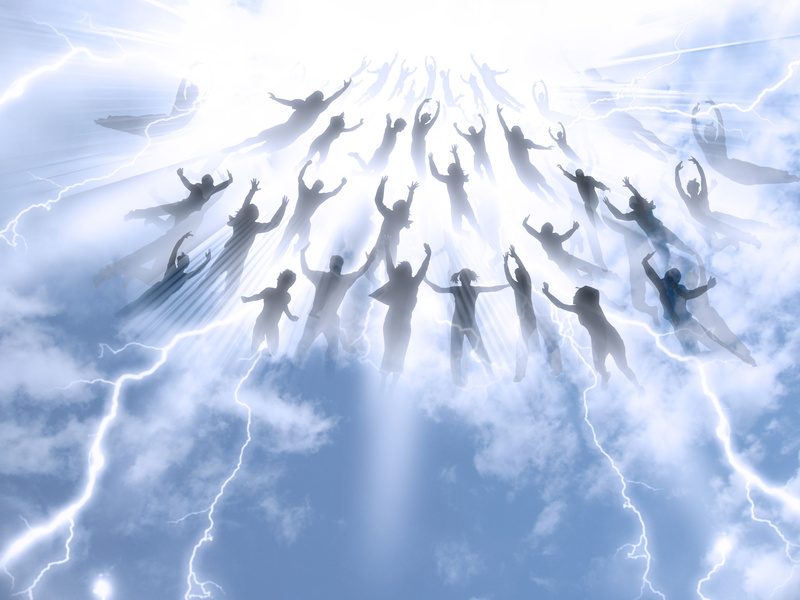 With these burdens removed by which the forces of darkness keep them imprisoned to their sin, they might actually come to see the light of Yeshua and be set free and come to salvation. The Greek word for forgive (aphiemi ) in John 20:23 is different than the Greek word translated as “to loose” (deo; e.g., Matt 16:19; 18:18) as in “binding and loosing,” or in Matt 12:29 as in “binding the strong man” when casting a demon out of someone. Similar to the binding and loosing scriptures (Matt 16:19 and 18:18), in John 20:23, Yeshua is giving his disciples judicial authority to declare a person innocent or guilty (i.e. bound or loosed) of the charges made against him by someone else. This seems to go hand-in-hand with Yeshua giving his apostolic disciples the keys of the kingdom (Matt 16:19) as his spiritual authorities and representatives on earth to make decisions with regard to legal scriptural matters and to render legal decision in church matters. Moreover, Yeshua also gave his disciples authority and power over demonic forces and Elohim’s enemies (Luke 9:1; 10:19), including over sickness and disease (Mark 16:17–18). Loose as used in the Matt 16:19 and Matt 18:18 is the Greek word deo meaning “to bind tie, fasten, to bind, fasten with chains, to throw into chains, being bound by Satan or his demons, put under obligation of the law, to be bound to one, a wife, a husband, to forbid, prohibit, declare to be illicit.” The counterpart to binding is loosing, which is the Greek word luo meaning “to loose any person (or thing) tied or fastened, to loose one bound (i.e. to unbind, release from bonds, set free), to loosen, undo, dissolve, anything bound, tied, or compacted together. The concept of binding and loosing was also a first century Jewish colloquial expressions relating to correctly or incorrectly interpreting the Torah. If the Jewish legal scholars believed that a person was incorrectly interpreting the meaning of a Torah law or one of the traditions of the elders, they accused him of breaking or loosening (luo) the law or making it less binding or less strict (deo). This was the case when Yeshua picked some grain to eat on the Sabbath in John 5:18. The NKJV and most English translations of this verse incorrectly state that “he broke the Sabbath.” This is a misleading, faulty and unfortunate translation of the Greek word luo. It is unthinkable and unscriptural that the perfect Yeshua actually sinned by violating the fourth commandment. In reality, he loosened the Jewish extra-biblical legal restrictions that forbad anyone from picking a handful of grain on the Sabbath to eat—something the Torah doesn’t consider work (as opposed to harvesting a field of grain), and thus doesn’t forbid. Luo in this sense may possibly be read into Matt 5:19, John 7:23, and 10:35 as well.